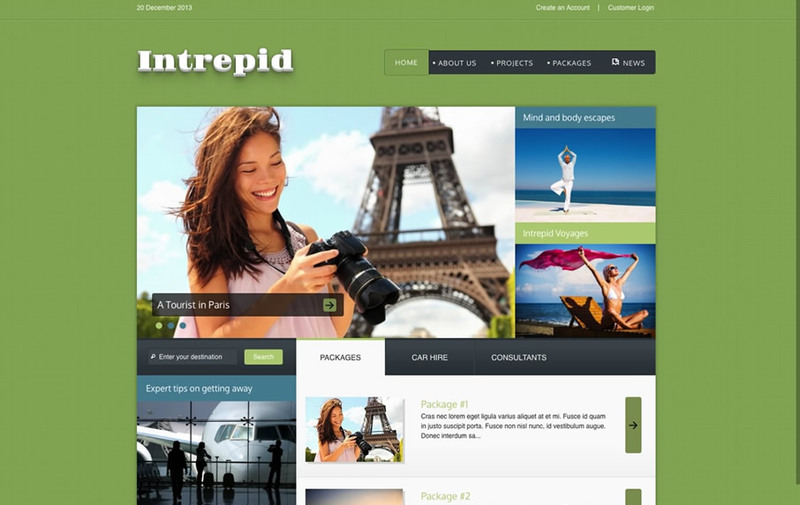 The Intrepid template features a flexible responsive layout that changes according to the width of the users' browser (in browsers that support media queries). This means that you only need one template for the desktop, iPad, iPhone and other mobile devices. This template provides the option of loading fonts for your website via the built in standard font stacks or by including any of the many fonts listed in the google web font directory. Intrepid comes with 26 Hilite options straight out of the box, so you shouldn't be caught without a viable colour scheme to use for your site right out of the box. In addition to the built in colour schemes you can select from one of the 9 Background textures colours to personalise the appearance of your site.